If you want a showstopping look, consider this sparkling little dress. The Twinkling Lace High Low Dress is fully lined and made of an awesome floral lace with miniature sequins throughout, adding the perfect touch of shine. The rounded neckline, high low cut, and open back design made this a great party dress to wear to an upcoming dance or cocktail party. We love that this dress is simple, yet stunning at the same time. It would look perfect paired with beige pumps or strappy heels. Details: Fully lined. 65% cotton, 35% polyester. Lining: 100% polyester. Hand wash cold water separately. Color will bleed. No bleach. Hang to dry. 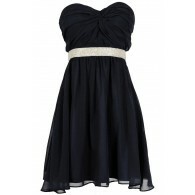 Small measurements: Length from top of shoulder to hemline: 33-39\". Bust: 34\". 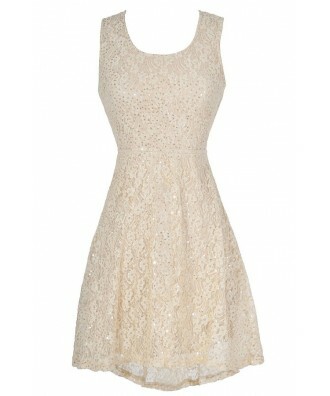 You have added Twinkling Lace High Low Dress in Beige into Wishlist. 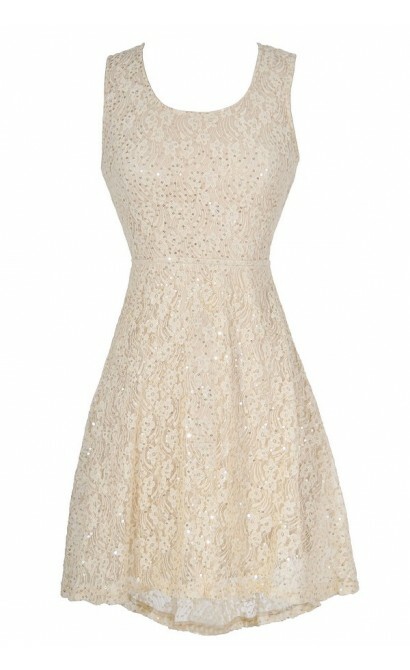 You have added Twinkling Lace High Low Dress in Beige for Stock Notification. 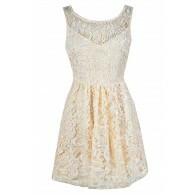 You have set Twinkling Lace High Low Dress in Beige as a loved product. 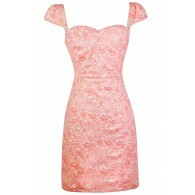 You have removed Twinkling Lace High Low Dress in Beige as a loved product.